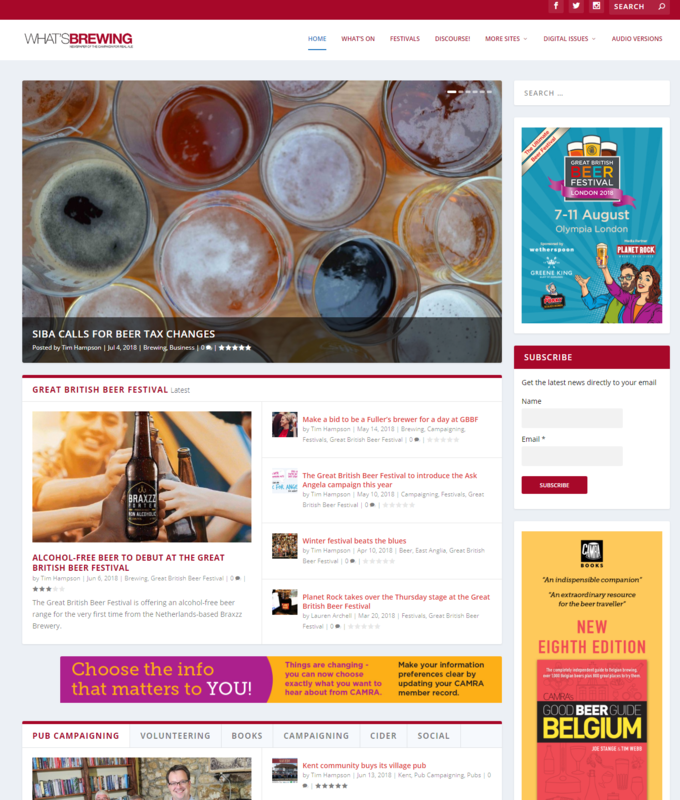 Keep updated on everything in the beer and pub world through our newspaper. What’s Brewing. What’s Brewing brings you news from across the Campaign, as well as updates from the beer and pub industries. News is updated on the website regularly, with the What’s Brewing newspaper published monthly and available to members as an e-edition. To save the environment, we automatically send you access to the online edition every month, but on request, we can send you a print version instead. Alongside the news, you can read the views and opinions from fellow members and volunteers, industry experts and leading beer writers.